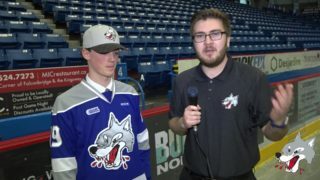 The Wolves paid a visit to the nations capital for Game 2 of a second round series against the Ottawa 67’s on Sunday afternoon. 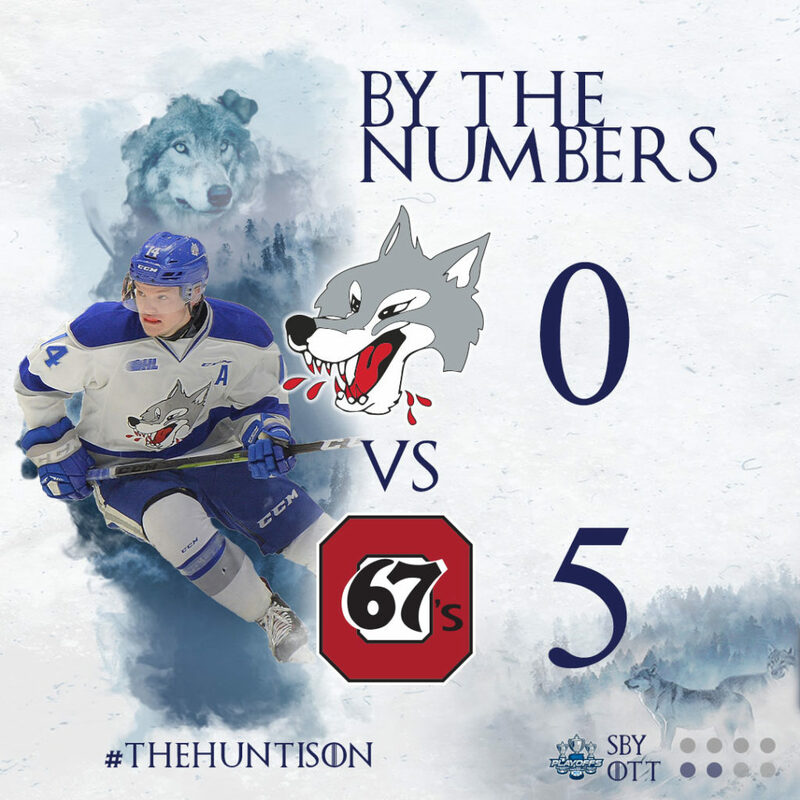 It was a very tight battle through the first two periods before the 67’s took over in the third to take a 5-0 final with shots on goal 27-25 in favour of the Wolves. The Wolves came out flying in the first period controlling the play for long stretches of time. 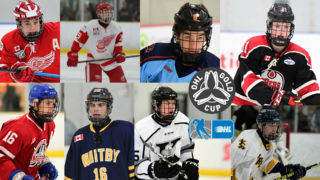 It was almost a scoreless first period as both teams were evenly matched. 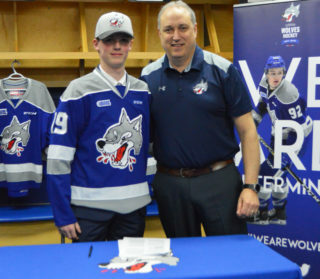 Lucas Chiodo opened the scoring late in the opening frame when his shot was deflected in off the stick of Peter Stratis over the shoulder of Ukko-Pekka Luukkonen to give Ottawa a 1-0 lead on the Wolves. Things began to heat up in the second period as three players from each squad were sent to the box for roughing. It was a tough 20 minutes for the pack as they put in blood and sweat trying to make the comeback. The 67’s notched another two goals before the end of period to put them up by 3. Goals came from Noel Hoefenmayer and Austen Keating leaving the score to sit at 3-0 with shots on goal 18-15 in favour of Ottawa. 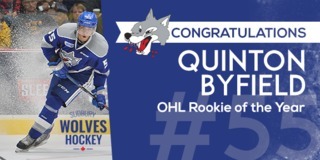 Despite all efforts made by the Wolves in the third period, the Ottawa 67’s scored an extra two to extend their lead and secure the win with a 5-0 final. 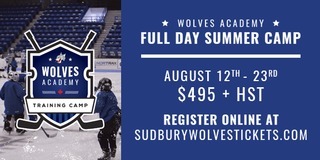 The Wolves will look to claw back and take home a win in Game 3 when they return to the Sudbury Community Arena on Tuesday night at 7:05pm. 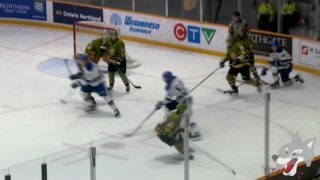 Tickets for Game 3 and Game 4 are available for purchase online at sudburywolvestickets.com or at the arena box office.